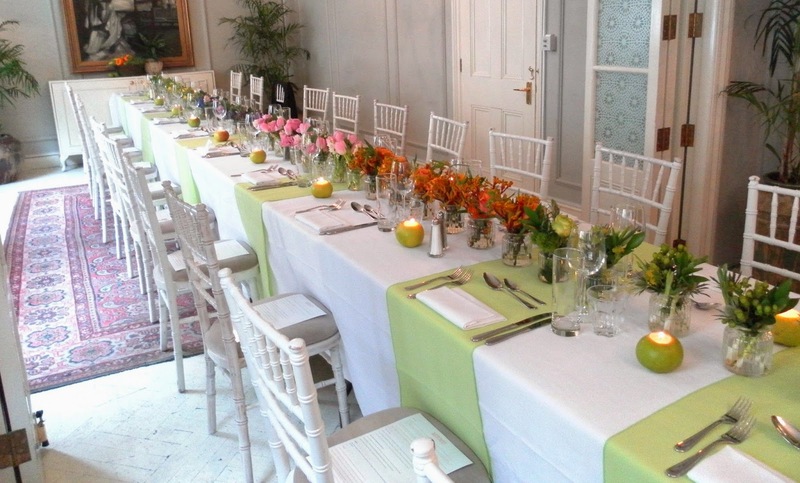 Yesterday I made my way to London for a stunning lunch with Tesco to find out more about the new, improved and re-designed Tesco Healthy Living range. Being a Weight Watchers member, and someone who generally hopes to lose a considerable amount of weight, I am always happy to hear about brands, foods and ways in which I can lose weight but still enjoy the foods I love. The new range has been completely re-packaged, and I love the brighter, more eye-catching packaging which has all the right information and looks inviting. The meals themselves have had a makeover with new recipes and ideas to satisfy anyone's taste buds. But the best bit for me as a Weight Watchers member? They carry the ProPoints values on the packaging, too, meaning I don't have to search for the information or whip out the calculator, it's there already, making picking food easy. The new range is split into two choices; there's a range for those who are trying to lose weight and want healthy but tasty meals to help them do so, called Big on Taste, Lower in Calories, as well as a range of more extravagant meals with still lower, healthier options but not quite so low in calories called Beautifully Balanced. I couldn't wait to tuck in! We started the lunch with some really delicious canapés, all made from the Tesco Healthy Living range. There was a selection of Beetroot Cannellini Bean, Roasted Bell Pepper & Feta Cheese Wraps, Spicy Lentil & Chickpea Dip with Beautifully Balanced Honey & Linseed Crackers, Beautifully Balanced Sweet Chilli Chicken Little Gem Cups and Beautifully Balanced King Prawn & Mango Salsa Dip. The chicken and prawn were definitely my favourites, and both something I would try at home and definitely pick up in store. After canapés we took part in a fun taste test, with a table of six delicious meals, each cooked in two ways. We had to guess which was the Tesco Healthy Living option, and which wasn't. It was quite the test, but I managed to pick mostly Tesco Healthy Living options over the less-than-healthy versions - I actually preferred the healthier options! Next up, lunch. To make sure we got to try as much of the range as possible, both the main course and lunch were presented in smaller portions, but with several different meals and desserts to try. 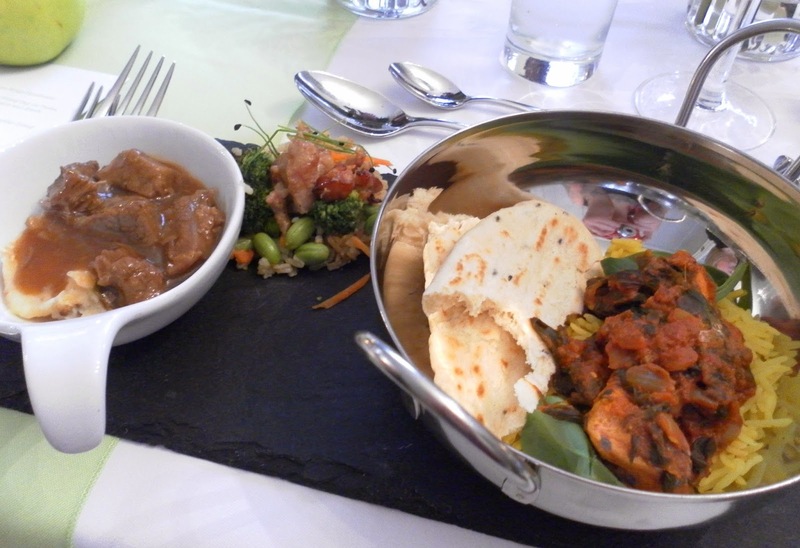 For the main we had Big on Taste, Lower in Calories Chicken Saag and Rice with naan bread, Beautifully Balanced Teriyaki Chicken with Brown Rice and Ponzu Sauce and Big on Taste, Lower in Calories Braised Beef & Root Veg Mash. All were very delicious, I loved how the braised beef tasted, I love anything saag related (saag paneer is one of my favourite dishes!) so the chicken went down a treat, but the star was definitely the Teriyaki. 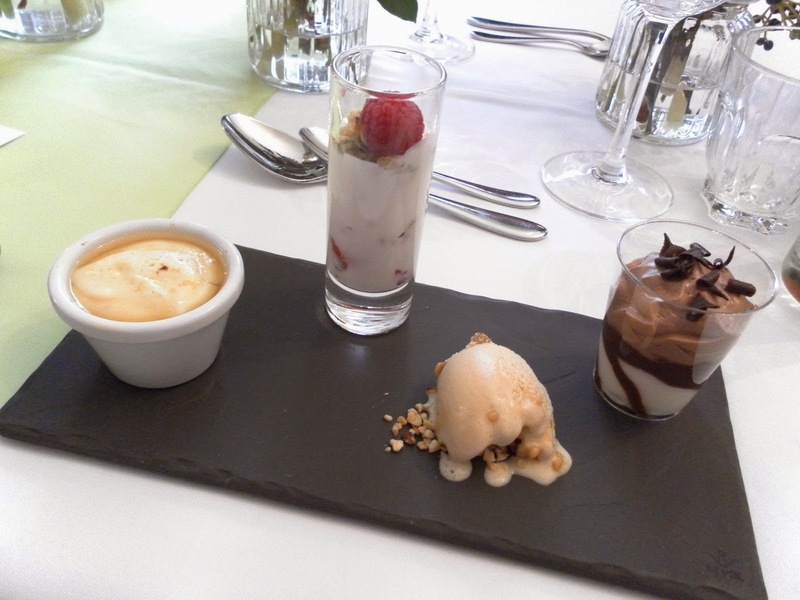 Dessert was absolutely delicious, with four options to dig in to. A yummy Healthy Living inspired Strawberry & Raspberry Cheesecake made using Big on Taste, Lower in Calories 5 Seed, Fruit & Nut Bars, Extra Light Soft Cheese, Strawberry Yoghurt and fresh fruit. A Healthy Living inspired Blueberry Creme Brulee made with Beautifully Balance Vanilla Yoghurt, Manuka Honey and fresh Blueberries. Then there was an incredible Big on Taste, Lower in Calories Caramel Iced Dessert with Toasted Hazlenuts and a miniature version of the Big on Taste, Lower in Calories Chocolate Sundae. Dessert heaven. I've always found healthier options in supermarkets can be a minefield. The portions are either tiny, or the price shoots up because it's healthy. Sometimes it is a lot easier to buy cheaper not-so-healthy foods, and sometimes it's a lot easier to go for the not-so-healthy options with bigger portion sizes, than the healthier options which are usually half the size. Tesco have tackled these issues perfectly. The portion sizes are fantastic, easily a normal portion size, the variety of foods available is pretty impressive and every bit of nutritional information you could need, is covered. There's ProPoints values on the packaging for anyone who like me is a member, there's two ranges within the range to suit different needs; wanting to lose weight or wanting to maintain, and the price-point is pretty decent too. In fact, I was surprised by how affordable many of the options were and this for me is the biggest reason why Tesco Healthy Living range is a range I will definitely be looking at trying more. Although as someone who loves to cook from fresh, I'd never suggest eating ready meals every day, they're perfect for having around for those occasions when you don't want to cook or you're in a rush. There's also more than just ready meals, with dips, sauces, dressings, chilled, cupboard and frozen foods, as well as much, much more. None of the Tesco Healthy Living range will ever have a red on nutritional traffic-light colour coding, making every meal a healthier, better option, and all have been produced with controlled levels of salt, sugar, fat and saturated fat. I'm impressed! What do you think to the newly improved Tesco Healthy Living range? Oh wow that looks like you had he most delicious meal ever, very jealous mm! I love the look and sound of all of the dishes you were given! My local Tesco does stock the Health Living Range and I have bought from it before, (in the last 4 weeks), but honestly can't say I noticed anything that sounded delicious as the dishes you had - it was all standard fish pie, lasagne, bolognese etc. Maybe my local Tesco isn't classy enough haha!! wow, looks like a great little event. The food looks so tasty, I for one, would be all about the teriyaki chicken! A chocolate sundae too? Count me in! Your photos are stunning! Love the sound of the chocolate sundae, especially with the fewer calories hehe! Those desserts look amazing! I've been considering trying the Healthy Living Range since I spotted it last week, after seeing this post I think I'll have to order some haha. These desserts look so yummy. I always get bored of the same old diet food I like it when they mix it up and realise new foods to try. It seems like you had a great afternoon.